This is for a full set of 25. I'm unsure if the 25 will still be random or whether you will get 25 different figures. All I know is that I sadly have paid full retail for 3 of these things from Forbidden Planet and they are expensive (can't remember exactly but I think £4 each). My son spends his pocket money on these blind box things. To my mind a complete waste of money, but these are cheap and i've bought them for him. I'm also dealing with the fact he wants Skullcandy/Beats headphones for Xmas too. Kids! 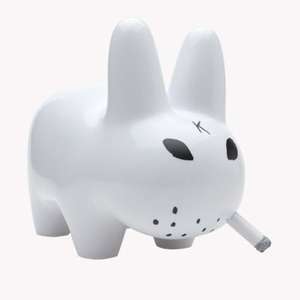 Just what the world needs toys that make smoking cool to children. If you give these to children.....well i wouldnt anyway. An absolute bargain for Kid Robot toys - you could sell 4 and break even. Purchased. An absolute bargain for Kid Robot toys - you could sell 4 and break even. … An absolute bargain for Kid Robot toys - you could sell 4 and break even. Purchased. I got delivery within 2 days too. It's gonna be a well appreciated Xmas present. And yes, for Kid Robot toys it's an absolute bargain. There's other bargains on the website too.